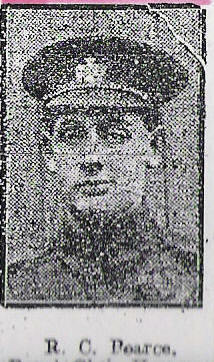 Reginald Pearce appears on the Tytherington War Memorial. He joined the Old Down Troop of the Gloucestershire Yeomanry Royal Hussars in 1914 and saw active service early on in the war in Gallipoli and took part in other Eastern Campaigns. After being home in hospital for enteric, TB related to his war wounds, he was drafted out East again remaining until the war ended. On being invalided out of the Army he went to live with relatives in Australia to see if the climate would prove beneficial to his lung problem. Sadly it did not and he returned home dieing unexpectedly on 21st August 1925. 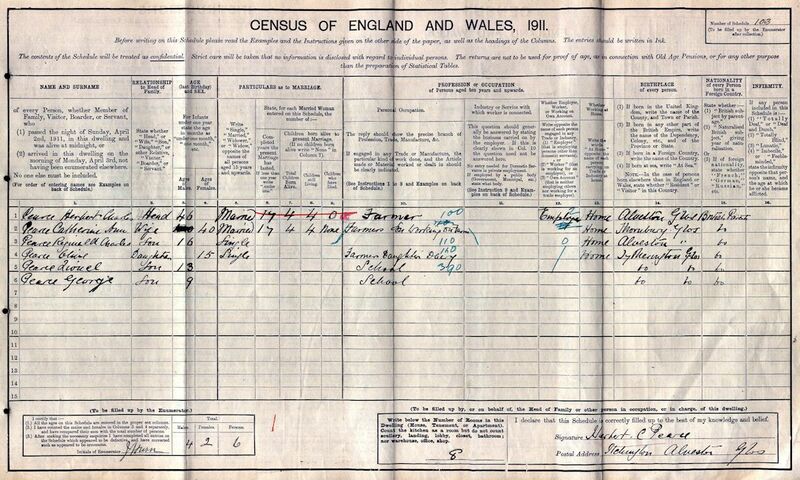 In the 1911 Census below he is listed age 16 as the eldest of four children, a farmers son working on Mill Farm in Tytherington. His father was Herbert Charles Pearce and his mother Catherine Ann.